I would like to stop and interrupt your day by telling you a story about an eccentric character who have been invading my mind and space for a while now. A few months back, I first started telling Michael’s story through a writing challenge on Twitter. It made me delved deeper and considered writing more on his life. His name is Michael J. He’s 6 feet 6 inches tall, muscular build, Iroquoian native mixed with Greek. He loves dancing, architecture, and stroking and teasing our minds. An attractive guy with a jaw line for days, piercing chestnut-colored eyes, Michael knows how to command, please, and just simply takes your breath away. 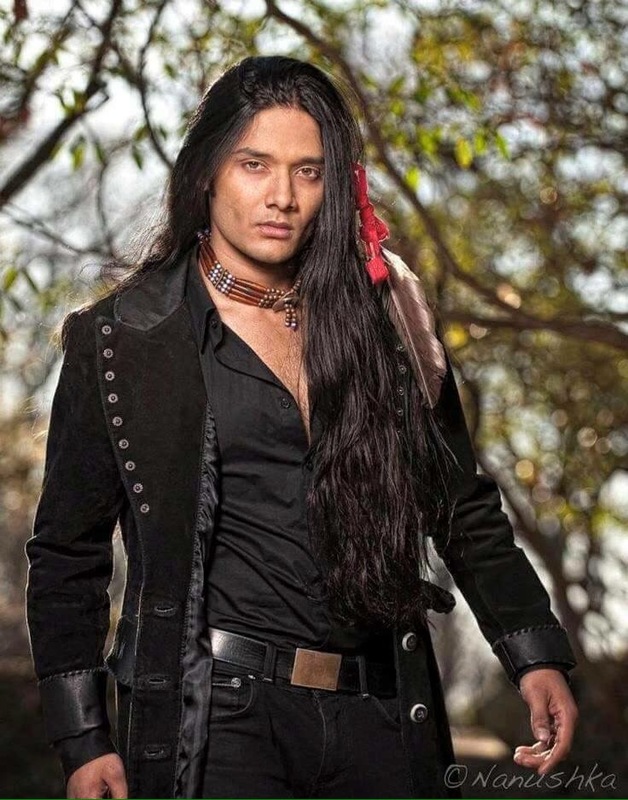 If you were to see him out and about, take note of how his raven black flowing hair dances in the breeze. It’s quite a sight! Michael is in his mid fifties now, but I can remember for a long time I would talk, (more like he’s talking to me- I listen) and recorded manuscripts of his life. It has been a difficult task to do so, since at a time I wasn’t really “listening” to my characters. I didn’t use their voice when telling their story. Michael started out as a gymnast at age 8 and later embarked on his talents as a dancer. He loves all types of dance like he does various genres of music. However, school plays and talent shows wasn’t enough for him. He wanted to go far and reach the highest stars. Growing up in San Antonio, Texas, (originated from Ontario, Canada) he and his family would have a pow wow that would last for days. He once participated in the Grass Dance regalia winning hearts and prizes for his local community. He remembered the decorative beads, and feathers adjourned his hair while waving and flipping his dance sticks. That was around the time he met his now wife, Cynthia. Graduating with honors and as his high school valedictorian, Michael went on to college majoring in film and business. But following behind his friend, Craig, to pledge for a fraternity Craig had his sights on, led Michael down the wrong path. Because he was the only guy of his race pledging, the head brother took Michael through the hardest tasks. It was like the brother hated him on some asinine level. No matter what came his way, Michael took it all into strive. So much had transpired that was damning nearly drove Michael insane. He kept asking himself “why me?” He couldn’t understand how his life could turn upside down once in college after having such a normal and joyous childhood/adolescent. It was like he stepped into another world. No, it was all because he pledged alongside his friend who haven’t caught any hell or wrath like he had. To this day, he regretted pledging even though he had gotten in. You know, I always had a damn good life, so I shouldn’t complain much. College, well, being in fraternity among other guys is supposed to be about a brotherhood. Listen, I didn’t signed up for mistreatment or malice…let’s just say my life turned unexpectedly. Don’t ask what happened then, I’m not ready to expose all of that…yet. So what I’m who I am. This is me. You either love or hate, no matter which, cause at the end of the day my family and close friends and my own happiness matters. I’ve work hard for all that I do and do it well. I am a husband, father, songwriter, businessman of many businesses; the list is long. I believe in love, peace and when I’m not busy working and being a family man, I devote my time to helping and giving back to the community. What more you want to know? Have I mentioned among being a dancer and choreographer, I’m also an exotic dancer? Yeah, surprise right? (LoL). Are you sure you’re ready to go down this road with me? Well, pick your transport of choice and let’s go! And there you have it, I’ve never drew near an individual so complex that leaves me intrigued, scared, and the hot desire to know more. (More is always better, right?) So, I will go down this road with him, on the back on his red and black Ducati or prized…horse. Sounds great! Are you planning on a Mailchimp list so that readers can get update reminders? I need to learn because I’d like to use it for Isabella and Peter project. It’s good to have, but just like with a blog, everything have to be in order. It’s free with the first 2,000 subscribers then you have to upgrade, if need be. It was the forms that got me confused. Some forms are already filled in and some you might want to personalize. Have strong security and lot of other work. Not hard and you’ll get it. I just get frustrated easily. Lol. Sorry. Noted. I don’t think that I’ll get 2000 to sign up for it but I’ll give it a go! You’ll never know, you just may reach that number. At least it’s free. Try it. Love it! Love it!! Love it!!! With that picture and the apt description of Michael I am definitely tuning in for more. Ugh, I feel for you, Michael. There’s always the one jerk who’s just got to flex his tiny bit of power over somebody just trying to get by. Seriously though, great character sketch. This guy seems like he’d be a solid protagonist for a book, especially if that book was about him protecting his family from, like, an evil corporation or something equally devious. Thanks for reading about Michael. Yeah, I feel for him too. The guy is probably jealous. Thanks again for your comment.